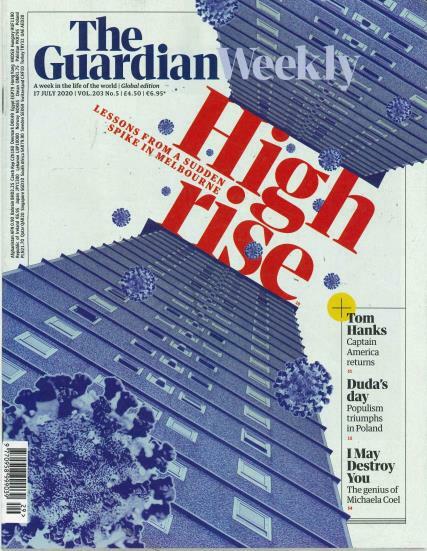 The Guardian Weeklyis one of the world's best-selling international weekly newspapers. It offers a unique blend of international news, politics, culture and comment, drawing on the considerable editorial resources of the Guardian, with selected features from the Observer, the Washington Post and Le Monde. The Guardian Weekly is read in over 130 countries. Coming from all backgrounds and walks of life, Guardian Weekly readers are often passionate contributors to society. Indeed, Nelson Mandela read the Guardian Weekly whilst he was incarcerated in Pollsmoor prison, describing it in his autobiography as a "window on the wider world". As well as containing a diverse range of news and comment pieces, the Guardian Weekly includes sections on culture, science, book reviews and international development. Unrivalled editorial coverage: access the editorial resources of the Guardian, the Observer, The Washington Post and Le Monde, in a compact and comprehensive weekly newspaper.